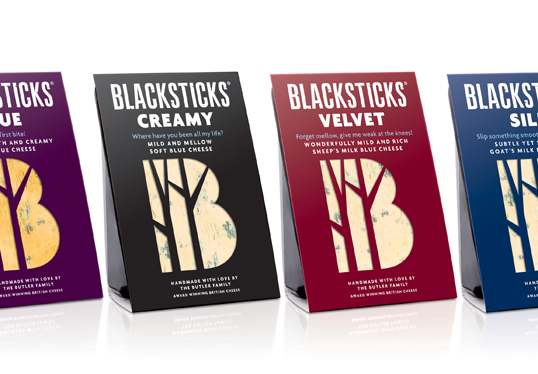 “Butlers came to us about a year ago when Blacksticks Blue, their absolutely stonking cheese, was languishing on shelves. 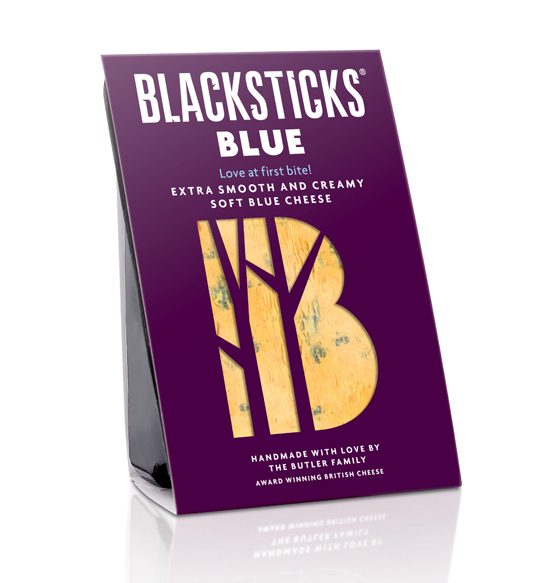 This special cheese is lovingly handmade (like every cheese the Butler family produces) with a loyal following, but its safe, old packaging was in need of some TLC. They trusted us to create a simple look that means business. 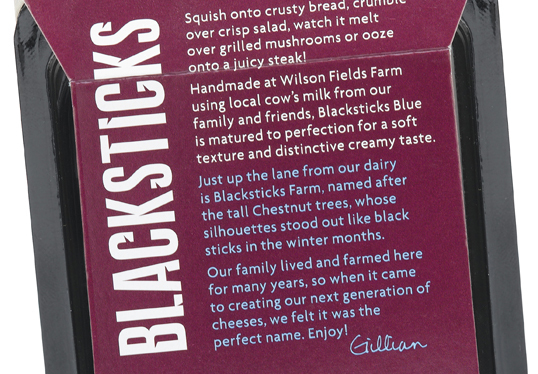 The first thing we did was incorporate the trees that inspired the unusual name on the pack – in the winter the trees near the dairy look like black sticks. Then, we wrote up this lovely story and crafted the strapline ‘Handmade with love’. …mmm, i dont like this, sorry.